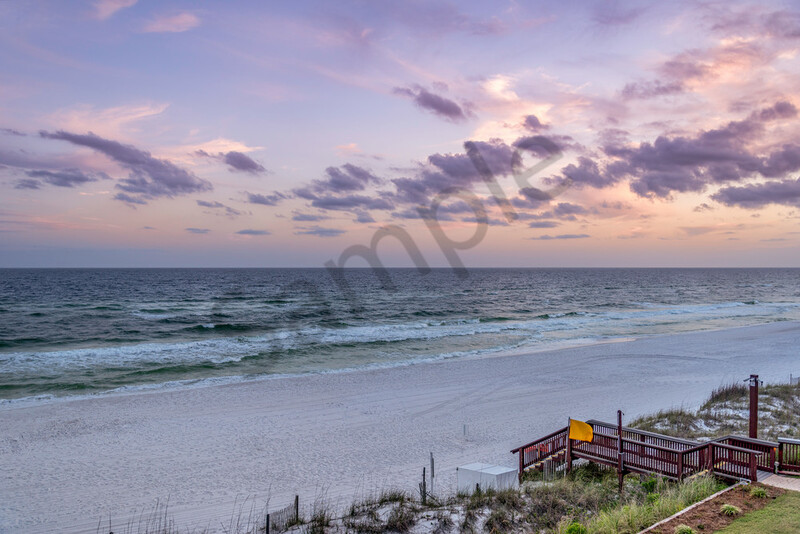 This serene scene on the beach in Destin was captured in the Golden Hour of sunset. I love the pinks and blues of the sky and the greens and blues of the ocean. The Emerald Coast is aptly named! This photograph was taken in the off season in Destin, so I was able to capture the sunset without anyone on the beach, giving it a very quiet and serene feel.